In the open space at the southern end of the Old Town is a island area of pavement. Here, in years gone by, the Winkle Club ran evening dances not only during carnival weeks but on numerous other occassions as well – and so this area became know as Winkle Island. During the 1950’s, following the death of Alderman Arthur Blackman CBE – President of the Winkle Club for many years – the question arose of siting a memorial to this dedicated Winkler. 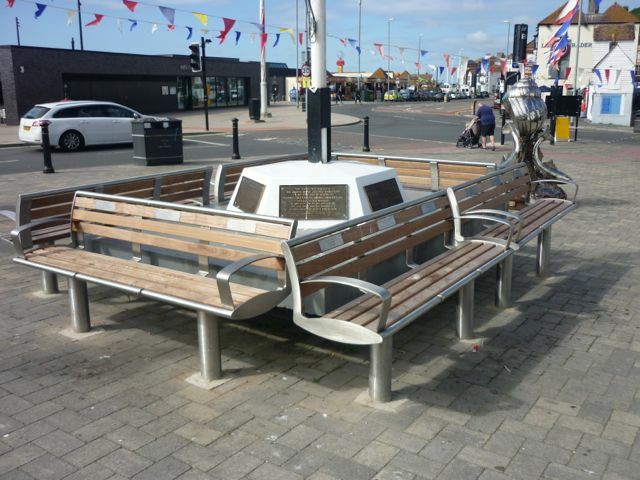 Winkle Island was the unanimous choice and the memorial took the form of a flagstaff on a specially constructed base on which was affixed a commemorative plaque describing the older man as a great benefactor the the town. In the presence of the Mayor and a large company of leading citizens and members of the Winkle Club, the plaque was unveiled and the Winkle Club unfurled by Miss Isabel Blackman who, like her father, had always shown a deep attention for the club and had helped generously in numerous ways. The ceremony took place on 20th July, 1959. Winkle Island is the symbolic gathering place of the Winkle Club and at the very heart of the Winkle Club. 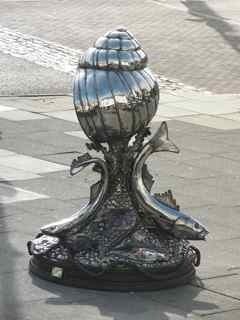 It is located at the foot of All Saints Street at its junction with Rock-A-Nore Road at Hastings seafront. 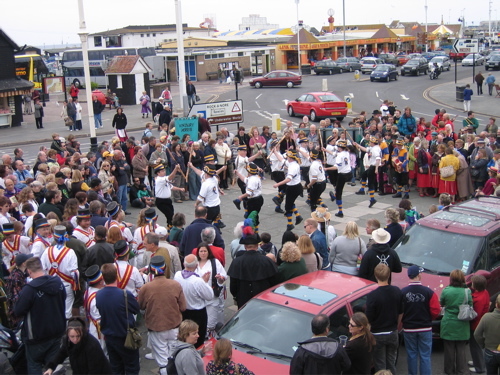 The small island is the central meeting point for many outdoor events such as the famous ‘Hastings Old Town Week’, ‘Jack In The Green’ as well as many other local events and street performances. A giant winkle standing on the pavement is used as a collecting box for charity purposes. 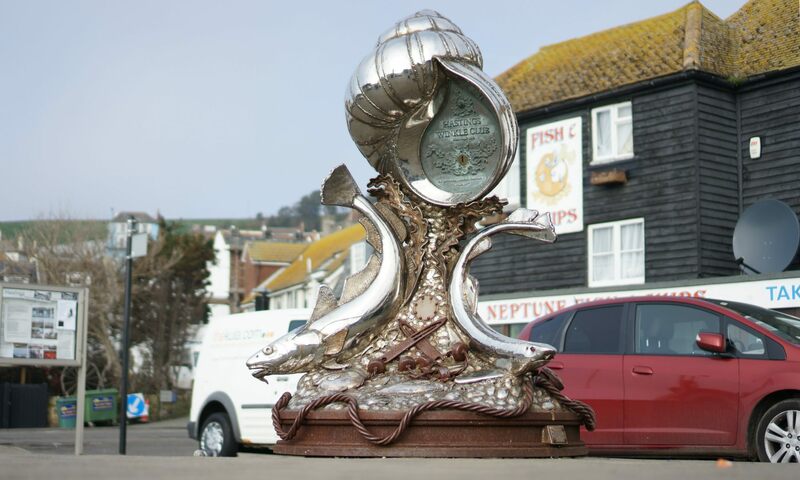 The inscription on it reads: ‘The Fishermen of Hastings formed the Winkle Club in the year 1900 to help the under-privileged families of the Old Town. This winkle was made by a member and given to the club by J. B. Jones enabling the club to carry on supporting local charities. Donations gratefully received. Thank you’. President J. Burton, 1974. During special occasions, members of the Winkle Club gather together on Winkle Island – the traditionally preferred venue for many of the club’s outdoor events. The giant winkle that stands on the pavement, was used as a collecting box in the past.